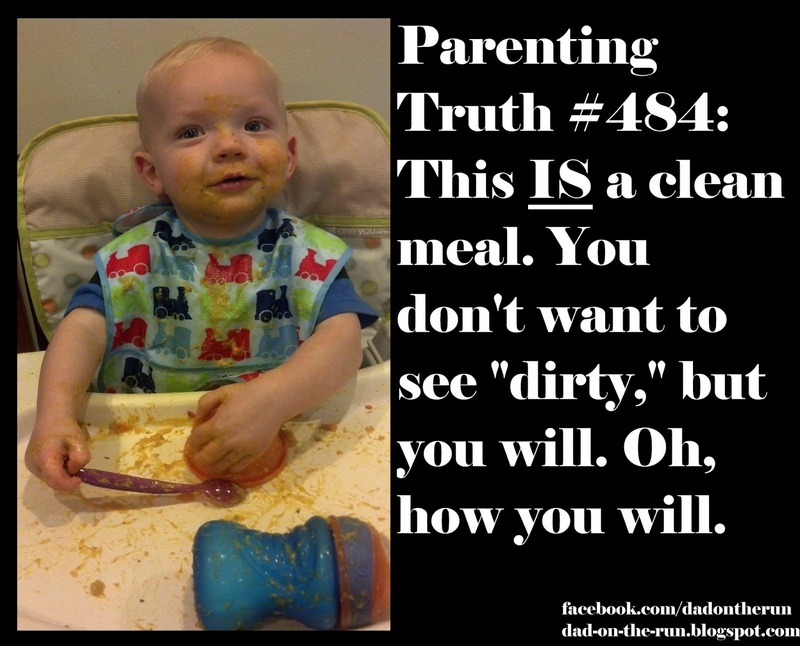 Parenting Truth #484: This IS a clean meal. 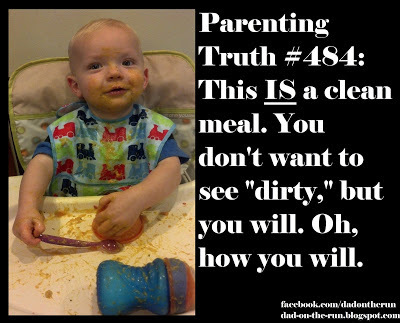 You don't want to see "dirty"... but you will. Oh, how you will. I took this picture and was proud of how, while plenty messy, Link had kept his debris field to the bib, his face, his hands and his tray. I was happy that none was on the floor or the walls. 3 seconds after this picture he threw the little bowl on the floor splattering food on the cabinets and a chair in the process. Oh well, at least he wasn't wearing white.